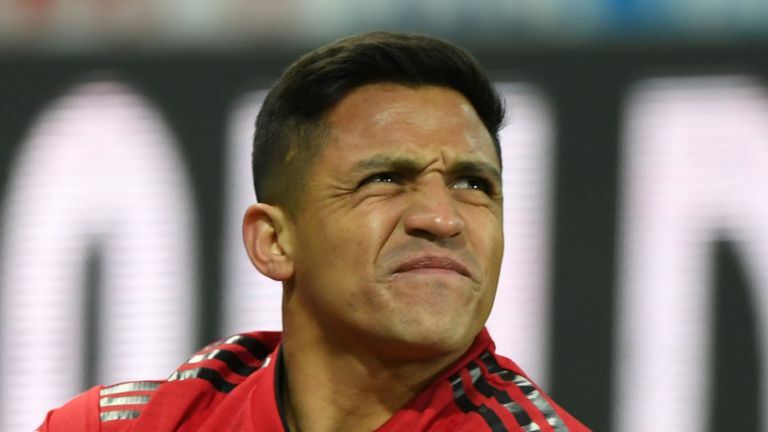 Manchester United caretaker Ole Gunnar Solskjaer insisted that Alexis Sanchez was not 'ready' to play against Tottenham on Sunday. The Chile international was left out of the United squad that beat Spurs 1-0 at Wembley yesterday — a week after he made his first start since November against Reading in the FA Cup. Sanchez limped off last weekend after suffering a recurrence of a hamstring injury that kept him out for two months prior and Solskjaer maintained the Spurs game came too soon for him. He is not ready yet. Hopefully he will be training maybe Wednesday full training. So just one of those blows he is having a hard time getting rid of it. Hopefully next week maybe, who knows.